Public charities. Public charities represent the largest share of active, 501(c)(3) organizations. Those starting a new organization usually prefer public charity status, not just because it better describes the organization’s purpose. Public charities also enjoy some advantages over private foundations: higher donor tax-deductible giving limits and the ability to attract support from other public charities and private foundations. Also, public charities have 3 possible tax filing requirements, depending upon annual revenue (listed in order of complexity): Form 990 (> $200,000), Form 990-EZ ($50,000 – $200,000), and Form 990-N e-postcard (<$50,000). All private foundations, regardless of revenue, must file Form 990-PF each year. 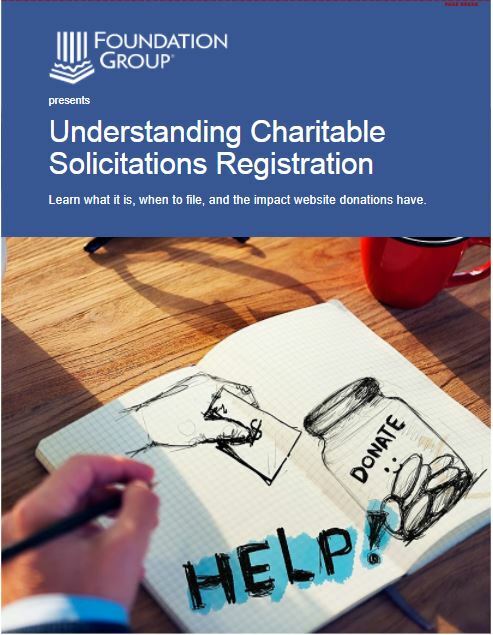 It is a lengthy and complex return much like Form 990 for public charities. It should also be pointed out that an applicant for 501(c)(3) status must prove why it should be considered a public charity, lest they be considered a private foundation by default. Like the layman’s definition, public charities typically carry out some type of direct, charitable activity. Examples include churches, private schools, homeless shelters, etc…the list of possibilities is nearly endless. The true definition of a public charity, though, goes well beyond the programs and into the realm of structure and revenue source. As for structure, in order to qualify for (and keep) public charity status, a 501(c)(3) must be organized for exclusively 501(c)(3) purposes. The IRS requires certain language to be in a public charity’s articles of incorporation explicitly restricting its activities to such. In addition, a public charity must represent the public interest by having a diversified board of directors. More than 50% of the board must be unrelated by blood, marriage or outside business co-ownership and not be compensated as employees of the organization. We are often asked where that is in the “code” and, frankly, it isn’t there…at least not verbatim. It is an extrapolation of the IRS’s requirement that governance of a public charity be at arms-length and without private benefit (inurement) to insiders. You can read more about that here. As such, the IRS requires that a quorum of board members be possible who have no personal stake, either directly or potentially through relationship. Finally comes the income, or source of revenue, test. Public charities must be supported by the general public. For that to be true, a significant amount of revenue, at least 33%, must come from relatively small donors (those who give less than 2% of the organization’s income), from other public charities or the government. While that is significant, that leaves 67% to potentially come from other, less diverse sources. Private foundations. While being considered a private foundation could simply be a fall-back position of not qualifying for public charity status via either the organizational or income test (or both), it is most often a choice that is made. There are reasons why someone would choose foundation status over public charity. Chief among those is control. In exchange for somewhat disadvantaged deductibility limits to donors, mandatory Form 990-PF filings, and minimum annual asset distributions (5% each year), private foundations can be controlled by related parties and be funded by a relatively small group…even one individual or family (think Bill and Melinda Gates Foundation). This is often more than enough tradeoff for those starting a foundation. Another significant reason may simply be operational. 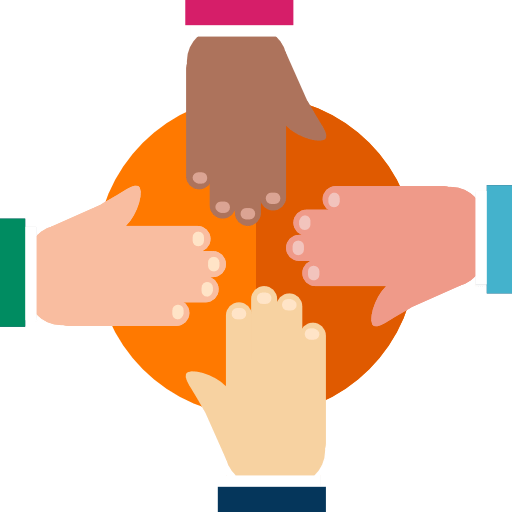 If the organization has as its primary purpose the financial support of public charities, as opposed to operating a particular program, a private foundation is likely more appropriate. There really is no right way to go between operating as a public charity or a private foundation. It completely depends on each organization’s programs, plans and intentions. Hi Greg I wanted to start an organization. I was diagnosed with lung cancer in November of 2014, I’m not cancer free yet but I’ve been blessed financially and many are not. So I wanted to create an organization have events and give to lung cancer patients that can use the monetary help. 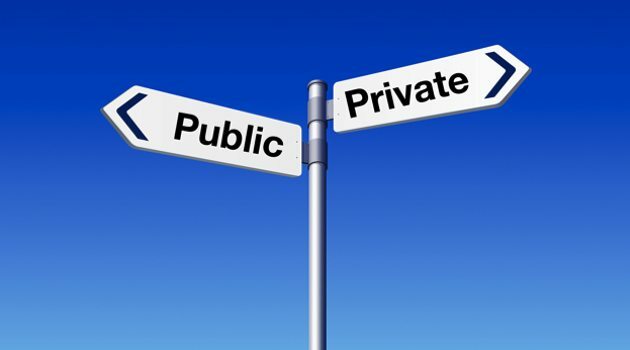 What will be best public or private? A public charity is almost certainly the best option for you, based on your comments. Keep battling…I pray a great outcome for your fight! An additional charitable entity option might be to contact a cooperative public charity and ask them to set up a charity owned, single member limited liability company for the donor. The public charity could also consider appointing the donor to serve as the managing manager of the LLC. See IRS Notice 2012-52, issued July 31, 2012, for more information. do 501 (c) 3 nonprofit public foundations need to seek IRS approval to award scholarships? Yes and no. Typically, a 501(c)(3) that is going to award scholarships will include that fact in their original IRS application for 501(c)(3) status. An organization that already has tax exemption, but later wants to add scholarships, would need to inform the IRS on Schedule O of its next Form 990 filing. I hope you’re still answering questions! A friend of mine is a government contractor. He is starting his own business and wants to donate 10% of his profit to Christian missions, both local and global. He’s asked me to organize a non-profit to work alongside his for-profit. So the purpose of my new non-profit will be to ensure his 10% goes to support missionaries around the world as well as local needs. He’s also going to provide all his employees with $4000 and/or 2 weeks to go on mission trips and donate to the non-profit approved ministries. We would accept donations from outside the for-profit, but the vast majority of our income would be from his company. From what I can understand this should stick us in the private operating foundation, right? Maybe, Zach. That’s hard to say for sure without more detail, but it certainly sounds like it from what you’ve said. Just to add, perhaps the more immediate question is could we get an immediate tax deduction for the property that we allocate/”give” to the foundation? or would it be easier and more dollar-effective to fund foundation with cash then have the foundation pay us rent for using the facility? Sounds like you are probably looking at a private operating foundation. I don’t recommend buying and donating real estate if you plan to live there. The cost allocation method doesn’t work either if you are talking about mortgage and tax expenses. The rent idea is likely problematic also due to the conflict of interest. There are ways to do this, but the issues cannot be addressed in this abbreviated forum. If you go forward with this foundation, I recommend calling us for help. We can help you sort these things out as we proceed with the setup. My husband, who is semi-retired psychotherapist/teacher and I have been considering starting a non-profit to provide free therapeutic services to assist communities dealing with family issues. He is keen to oversee the entire operation including initial funding, so I’m thinking we would likely go the private foundation route. We would need a facility to house the services and simultaneously we have been thinking about changing our residence. It would be ideal to live and run the foundation from the same property. If we are lucky to find such a property and purchase it, is it possible to allocate a portion of this facility to the foundation, so that portion of the facility cost and property tax are tax deductible? Would there be issues in the future by doing so, say if we want to reclaim that property portion? Thank you. Can a Non-profit Religious Corporation become “tax exempt” because a “Church” runs it? Does the Church make the Corporation “tax exempt”? Not if it is a separate corporate entity from the church. A separate entity would have to get its own exemption unless it is somehow covered under a group ruling of some nature. Can a director make a loan to the nonprofit corporation he serves to help get a project off the ground? Yes. Just make sure the agreement is in writing and that the interest rate is favorable to the nonprofit. What would happen if a Church that was by default a 501c3 organization and turned around and put it under “Corporate Sole”? You end up with a mess. Corporation Sole is only recognized as a legitimate entity type in a couple of states and as a tax-avoidance scam in the other 48 and the feds. It is peddled by phony experts who are conspiracy theorists, tax cheats, kooks or scammers after your money. Plus, you paint a big, red bulls-eye on yourself that practically screams come audit me. Assuming you could even do it, it would have no bearing on the 501c3 status at all because federal tax law doesn’t accept the premise. Stay far, far away from this. Thank you Mr. McRay for your answer! That really cleared some things up for me. I’m sorry if I’m asking too many questions. But I do have another one if you have the time. Can a church be incorporated under a Corporate Sole? Thanks again for your answers. They are helping me out a lot! The organization that I’ve mentioned above, has that paragraph in it’s Articles of Incorporation, and Bylaws. But nothing else that refers to 501c3. Only that Paragraph. If this Church was established and recognized as a church by the IRS before 1954(it was established in 1947), can it still be tax exempt without 501c3, if it proved it was an established church before then? The Above mentioned paragraph was added in 1968. But the rest of the documents never mentions 501c3. Great question..and this is where things get misunderstood pretty easily. Churches are a specific category of 501c3 organization and they cannot be tax-exempt without being a 501c3. That’s true even for churches that have existed long before the Internal Revenue Code (IRC). Churches are unique in that they are considered by default to be 501c3 even without having filed for official IRS recognition. That’s why a church formed in 1947 that never sought IRS status is still classified as a 501c3, tax-exempt entity. The IRC retroactively captured all existing churches under its purview. We counsel prospective church clients to pursue official recognition mainly because to not do so means the church is subject to all the rules and regs associated with 501c3 status without the benefit of an actual letter of determination. With or without the letter, a church is 501c3 if it intends to operate as a tax-exempt entity. If a Church puts the following paragraph in it’s Articles of Incorporation, does that mean it is a 501c3 organization? Not necessarily. But I wonder if you’ve asked the wrong question, Tim. A church must be 501c3 if it considers itself to be tax-exempt…no exceptions. The only way a church can function apart from 501c3 (for IRS purposes) is to operate as a taxable entity and without donation deductibility. There are a few bizarre websites that may say otherwise, but they either have no idea what they are talking about or they are trying to con you. The paragraph above is pretty standard fare and merely articulates what is already federal law. Can a church be recognized as a church without becoming a 501c3 organization? The IRS recognizes a “church” as a public charity. Can a “church” be a Private Foundation? A church can be a “church” without being a 501c3, but it cannot be tax-exempt without it. Under the tax code, churches are a defined category under 501c3. The only way for a church to not be 501c3 is for it to not cclaim tax-exemption…in other words, it would have to be a taxable entity. A churches cannot be a private foundation. How can I tell if a organization ,that has been out of service for some time, if it was a 501c3 organization? if it was established in 1947, could it be a 501c3 organization, and how could i tell if it was in the articles of Incorporation? There is very little way to know what the status formerly was unless it still is 501c3. My wife has formed a public charity in KS to support animal rescue. We own property in OR that we wish to donate to the charity, which it can convert to cash. Part of the reason for donating is that there are OR taxes that out-of-state owners pay on property sales that are not required of charities. Given the 33% rule, can I donate the property through another charity to the charity founded by my wife and avoid the spike in private donations? I don’t recommend this as it is really a form of money laundering. Certainly not illegal, but if done in collusion with all parties, it could certainly a shady transaction. The situation may not be all that bad, however. If your KS charity is in its first 5 years, the IRS doesn’t calculate the 33% yet…only after the 5th year. And even then, it is a 5 year average calculation. Unless the value of the property’s value way more than what you expect to receive in public support over the next few years, you may well be OK.
Our foundation has been of public status for several years. Now, due to income from investments we are told we must change status. My question is that our accountant said if 2/3 of your funds come from investment income you cannot be a public charity/foundation. An article I just read from you says 33&? Also, can a public foundation use all their funds to provide scholarships? Regarding investment income, the answer depends on whether your charity status is under 509(a)(1) or 509(a)(2) – you can find this on your determination letter. If you are a 509(a)(1), then as long as public support is greater than or equal to 33.3% of income, you’re good. With 509(a)(2) status, however, no more than 1/3 of income can be from investments. Check your determination letter. If you need to schedule a consultation to look into this more in-depth, call us. Does an individual get a tax write off for giving to their own public foundation? Donations are not disqualified as being tax deductible simply because of a link with the organization. Also, your question suggests the individual “owns” the foundation, which cannot happen anyway, as 501(c) organizations are non-stock entities. If a nonprofit receives donations of widgets (which the donor would otherwise discard) from relatively few donors and sells them to the general public (at a price for which the donor could never have sold them, even at the beginning of their usable lifetime), can we consider the public our source of actual monetary support, becoming a public charity? Note: The organisation in question does not operate programs itself, but donates to charitable causes. Intriguing comment about selling at a price the donor never could have. That comment aside, selling donated items to the public is not generally considered a business activity. In essence, if I donate a used refrigerator, and you then sell that refrigerator, you have converted one type of asset to another. So yes, it is still considered pubic support under most circumstances. My condolences, Kris. Having experienced the grace and care of hospice with both of my wife’s parents, I can attest to the blessing hospice is. As to your question, it is a major undertaking…no question about it. But for many, it is just what they need to do. And don’t feel bad about not knowing what to do. Many who start organizations begin right where you are. 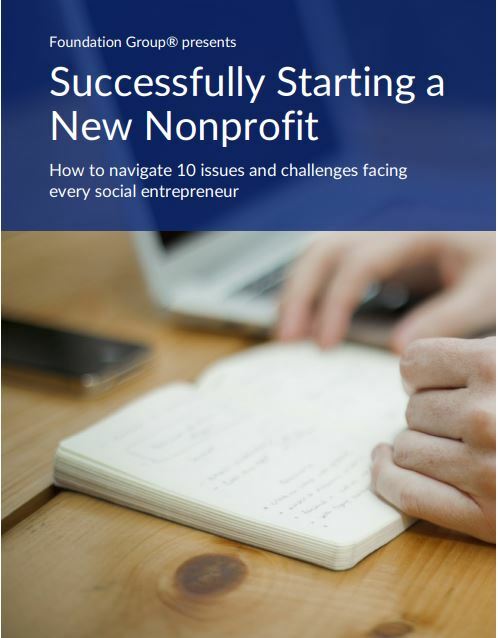 I recommend reading our article from a few weeks ago, Questions You Must Answer Before Starting a Nonprofit. I believe it will help you. Also, don’t hesitate to call and speak with one of our consultants. They can help you understand what is involved should you decide to move ahead. Over 100 years ago, our organziation was formed with the sole purpose to support the efforts of our church, but legally organized and as separate entity from the church’s incorporation. Rarely have there been any new funds / gifts to the organization. It’s primary source of income is investments, dividend, capital gains and interest and except for audit fees and banking fees, all the income and more is paid to the church for its operations. We have always considered ourselves a “supporting organization” and a charitable organization under the church, but confused as to the income test and wonder if we might be a foundation. Until recently, must supporting organizations of churches have been exempt from filing Form 990. If our sole source of income is from investments, but our distributions are solely to support the church, are we a charitable organization or a foundation. Could legitimately be either. You didn’t indicate whether or not your org ever received an IRS determination letter or not. The IRS letter would tell you. Read this IRS guidance for a better understanding of the issue. A family member who was not employed or insured has been recently diagnosed with stage 3 cancer. We are looking into doing a private foundation, but don’t know if this would qualify being that it would only benefit one person. Also, would we qualify for government grants? I’m sorry to hear about your situation. Having dealt with that in my own family, it isn’t an easy thing. As to your question…This is one we get asked a lot. Unfortunately a foundation/charity cannot be set up to benefit one individual. The best bet is to set up a “fund” at a bank that people can donate to (with the understanding that it is not tax deductible). If you want to be able to offer tax deductibility, the best thing to do is to ask your church (or another charity you are familiar with) to “sponsor” this project. That way, donations can be given to the charity designated to the need you described. That method requires the charity in question to be willing to manage this as a project of theirs. If that is not possible, just set up the fund. We are looking to start a developmental center that provides educational programs (a school), mental health counseling, and related therapies for children with disabilities and their families. We are currently filling out our 1023 form, but are unsure how to proceed. The building we are currently using is fine for now, but we want to be in a new building (specifically built/contracted for us) in 3-5 years. Should we include the plans for a new building in our forms and just file as a foundation? Or should we remain filing as a public charity and just create a foundation later on down the line? Barby…I cannot begin to address your questions in a written reply. Way too fact dependent. Also, from what you are saying your purpose is, and the nature of your questions, I have serious concerns about you attempting the Form 1023 on your own. It is a difficult task in any circumstance. I think yours will be especially so. I’m not always this blunt, but you need to call and speak with one of our reps about this. I think you will save yourselves much headache. We are considering establishing several ventures and of the few a second hand (educational workshop) shop/store in addition to a new church. These entities would give and help generate proceeds to our church of which I am the founder. Which organizational outline would be best for the business’, ventures and the church of the 501(c)3’s Public charity, Private foundation, or a private operating foundation. Would the charity purpose change to that of a 501(c)4, 501(c)6, 501(c)7… I am trying to be careful as well as cautious with all of the new State and IRS changes for churches and non-profit charities and I do not want to make any errors that cause us to be audited. I believe in the saying “measure twice, cut once”. Some mistakes can be costly to fix without penalty to say the say the least to invite any undesired attention from Uncle Sam. Churches are by definition 501(c)(3) public charities. The business ventures, well, that’s another story. The devil is in the details…maybe literally 🙂 . I highly recommend you read our blog articles that deal with unrelated business income. You can click on that topic on the right hand side column of the blog. Then, get professional assistance in setting this operation up. Yours definitely does not sound like a DIY project! Are there reporting advantages, from the non-profit organization’s perspective, to being a public charity instead of a private foundation? Specifically, do you have to supply more information (or different types) if you are a private foundation? Thank you. I should clarify — assume that the non-profit receives less than 25K and can file a 990-EZ. Thanks. There are distinct differences in the reporting requirements for public charities compared with private foundations. Public charities are only required to file a detailed return if gross revenue exceeds an average of $25,000 (see our Form 990 web page for details on calculating that average). Private foundations must file a Form 990-PF regardless of income. In general, Form 990-PF is somewhat more difficult to deal with, though any Form 990 is not picnic. All that being said, the relative reporting requirements should have little to no basis in what designation most properly categorizes a particular organization. We are forming a non profit and are looking for assistance in the kind of non profit to begin. We will be conducting various services that are specifically targeted for the community and townships we assist, but want to know if the Private Foundation is the way to go. The main reason we need the 501(c)3 is for the Grants we need to make the programs work as well as to qualify for a lot of the government assistance we seek. Also we will be getting donations and need to provide the write off for our donors. My concern is making the wrong choice and not having the ability to get Grants and Subsidies for the Housing we will be building to help the families we intend to provide for. What is the suggestion? From your description, private foundation status is not likely your best choice. Most organizations that need the funding sources you describe…and have ongoing direct programs will want to form a public charity. I recommend you call and speak with one of our team members to get a better feel for what you should do. There is no cost to inquire. Good luck! We are listed as a private foundation who definitely fits into a public charity type of organization. The private foundation status has hurt us because bigger companies will not donate because of the tax deduction process. That really depends upon the donor. The IRS allows taxpayers who itemize their deductions to write off donations to public charities up to 50% of their income. For private foundations, the limit is 30%. But how many taxpayers give 30% of their income to charity, much less 50%? As you can see, the deductibility limitations impact only a handful of very generous individuals. Where you often see the limits coming into play is with family foundations. The Smith family sets up a private foundation and intends to fund it themselves. The Smiths are rather well off and plan to seed the foundation with a big chunk of money. While their donation is not limited, the deductibility of it is. But even that is not the end of the story. The IRS allows amounts that exceed the limit to be carried over to future years. Is the private foundation like an irrevocable trust? I’m interested in trusts and would like to know more. Are charitable trusts and public charities the same thing? They are not the same thing. A trust is a type of entity, not a type of tax-exempt or 501(c)(3) status. Corporations, trusts and unincorporated associations can all seek tax-exemption as a private foundation or a public charity.